Cavalcade of the Three Wise Men, January 5. The Parade in Mijas usually takes place in the three centres of this municipality. Thus, at 5 pm the parade leaves from the City hall of Mijas, Mijas Cultural centre and the park Maria Zambrano in Las Lagunas. At the end of the routes are offered chocolate, snacks for kids and a tasting of Roscon de Reyes (a typical Christmas sweet). The Feast of St. Anthony, on January 17 is a festive day in the chapel of Mijas, with ancient traditions, food, dances and songs. Carnival. 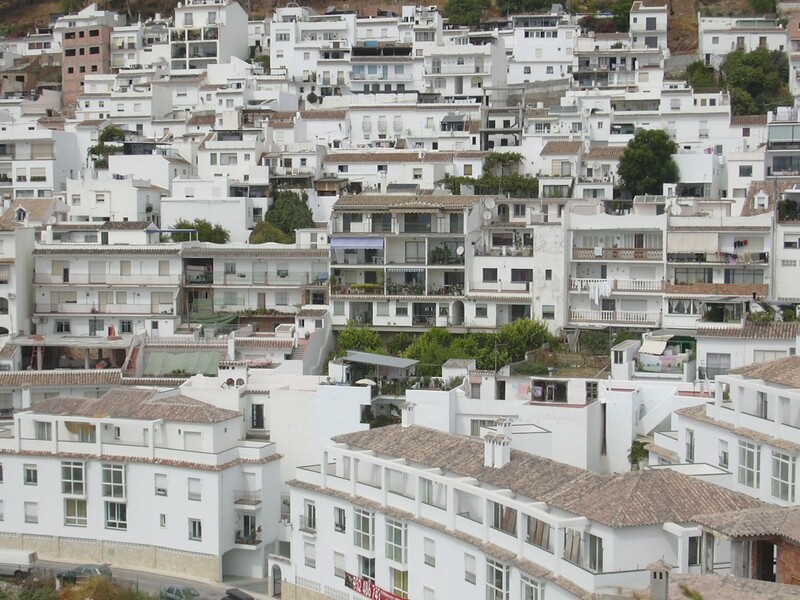 In Mijas Pueblo, Las Lagunas and La Cala de Mijas there are parades and costume contests. Las Lagunas 17th in February at 4:30 pm. 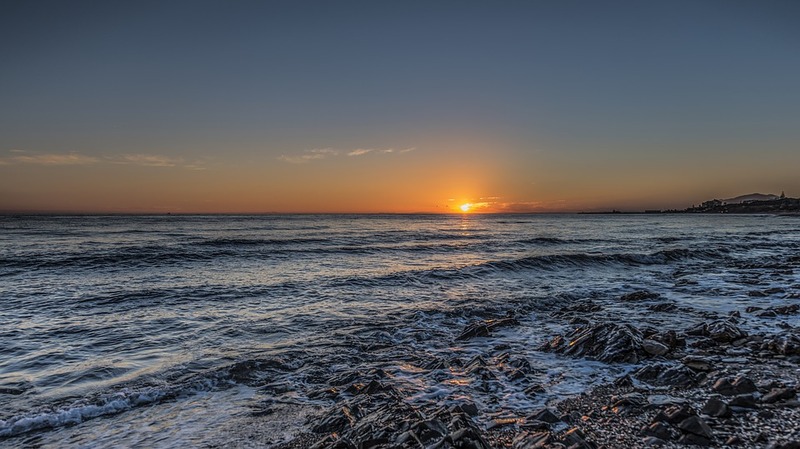 The Easter Week is one of the most popular festivals of Mijas, which receives a large influx of visitors at this time and processions throughout the week. Sardines in La Cala, on May 1. On this day many people go to La Cala to enjoy some grilled sardines on the beach. Thanks to the cooperation of local restaurants are offered for free over 1000 kilos of roasted sardines to distribute to all attendees. The feast of Corpus Christi is celebrated in the streets of Mijas with altars filled with crafts made ​​by local residents. On the International People´s Day in the second half of May, takes place a multicultural celebration of the many nationalities living in Mijas. 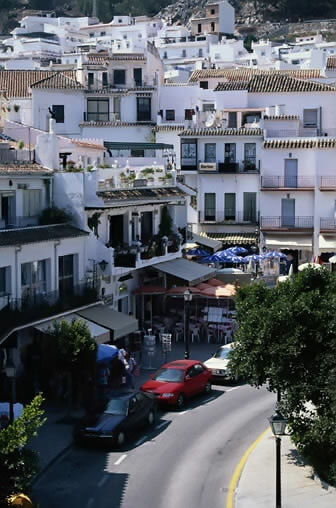 In the old town of Mijas more than thirty countries show the best of their culture, crafts and gastronomy and there is live music and dancing. On June 2 takes place the traditional floral offering to the Virgen de la Peña, the patron saint of Mijas. In June is also held the Blues Festival and the Dance Festival. On the beaches at La Cala take place the traditional bonfires occur during Midsummer, on June 23. This night of summer solstice is celebrated by thousands of people, who spend the night on the beach with family and friends. The Fair of Las Lagunas takes place in early July, with variable dates commemorating the Virgen de la Paz. This fair begins with a colourful pilgrimage with ox-carts, carriages and horsemen. During the fair there is live music, contests and exhibitions, and attractions and booths at the fairgrounds. The Feast of Carmen, on July 16, is celebrated in all the municipalities of the Costa del Sol. During this day there is a sea procession in honour of the Virgen del Carmen, the patron saint of fishermen. In Mijas Costa, the traditional procession passes first through the centre of La Cala and then the beach. Finally, around July 25 takes place the Fair in La Cala. 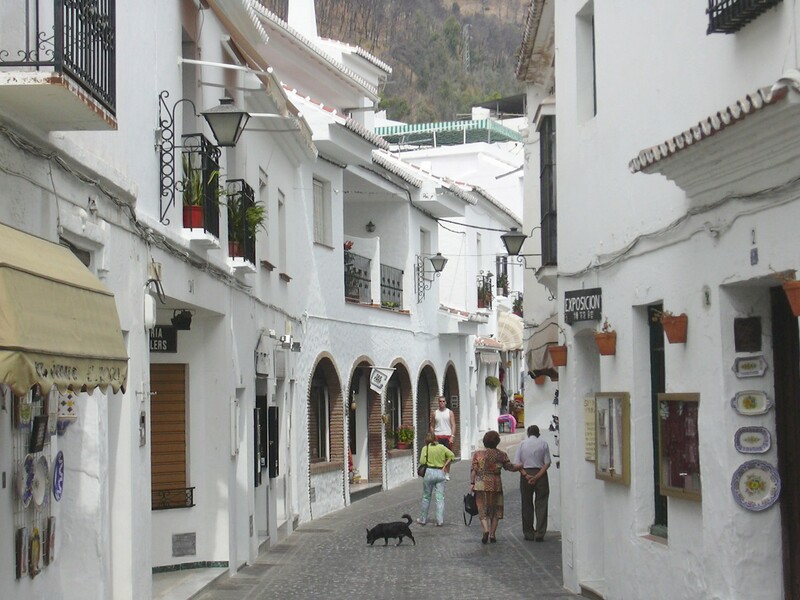 During the months of July and August takes place in Mijas Pueblo the program Vive Mijas de Noche, with craft market, musical performances and other attractive events taking place during the nights of the summer months in the old part of town; an opportunity to cool off in this mountain village overlooking the Mediterranean Sea. During this month also takes place the Flamenco Festival. In the first half of September takes place the Fair in Mijas Pueblo, in honour of its patron saint, the Virgen de la Peña, with an extensive program of activities for all ages. 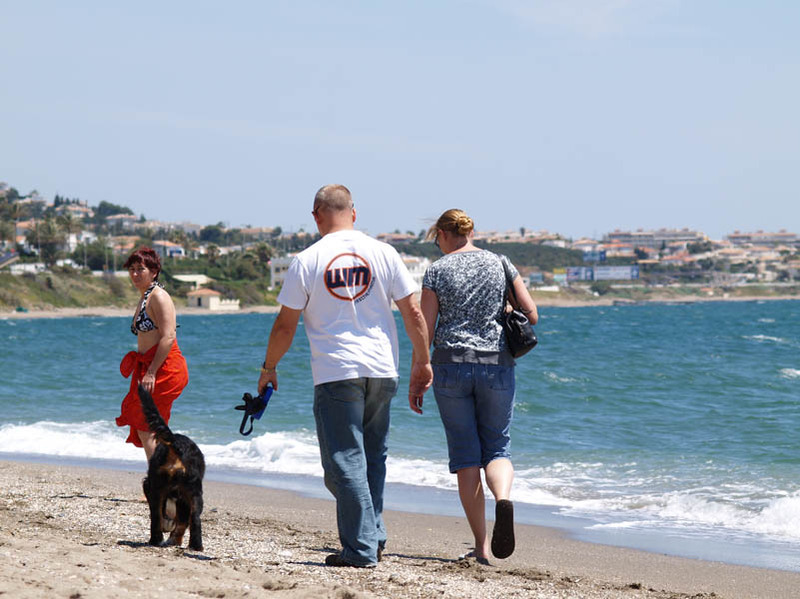 The Tourist Day takes place around September 14 in the old town of Mijas Pueblo, with many activities to acknowledge the loyalty of the tourists who come each year to this Costa del Sol town. In October 12 is celebrated the Columbus Day, in Spain called 'día de la Hispanidad (Spanish Heritage Day)' or 'día del Pilar'. It is a national free day but most commerces will be open for customers. In La Cala in Mijas Costa take place the Verbena and the Pilgrimage of Santa Teresa, the patron saint of La Cala, on October 14, 15 and 16. During the month of December takes place in Mijas Pueblo a Christmas Market, while at the Theatre in La Laguna take place the traditional Christmas concert of the Symphony Orchestra of Malaga, as well as a representation of the Moscow Ballet.